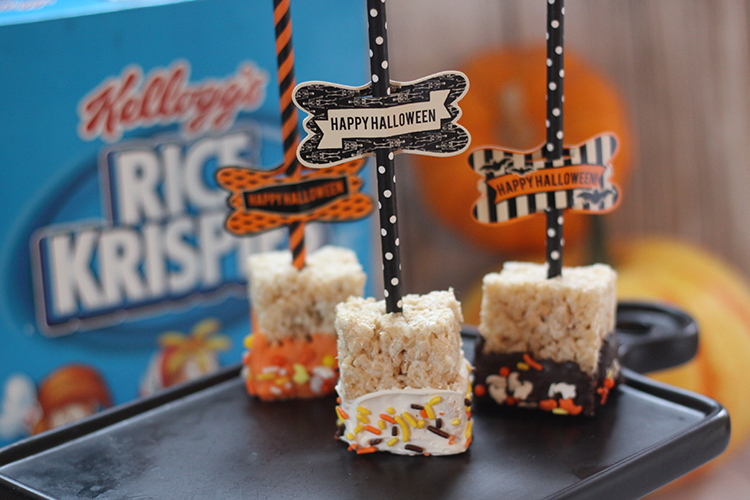 We love making Rice Krispies treats at our house! You can dress them up for any theme or holiday. Plus, they are yummy! 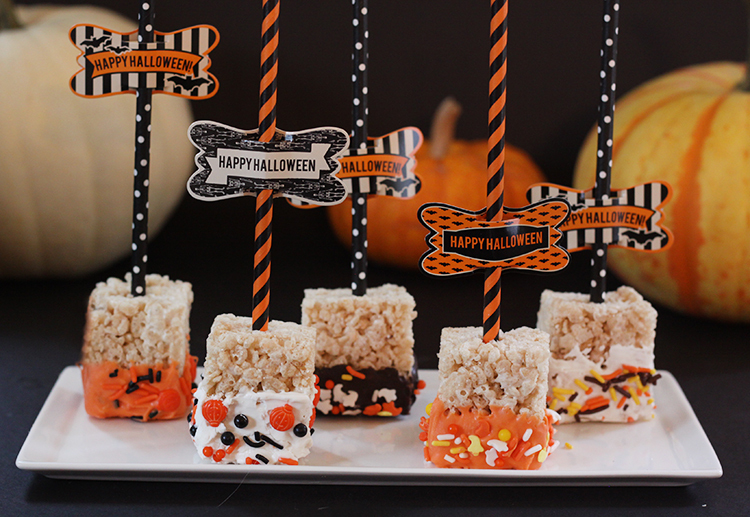 For these Halloween treats we simple cut the Rice Krispies treats into cubes and decorated them with candy melts and fun holiday sprinkles. You can do this for any holiday, just change the color of candy melts and your sprinkles. 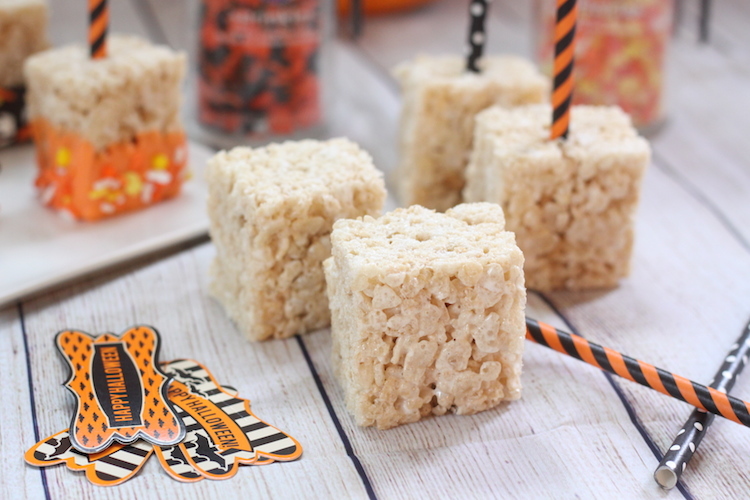 The addition of the straws and tags make them festive and perfect for your Halloween party. 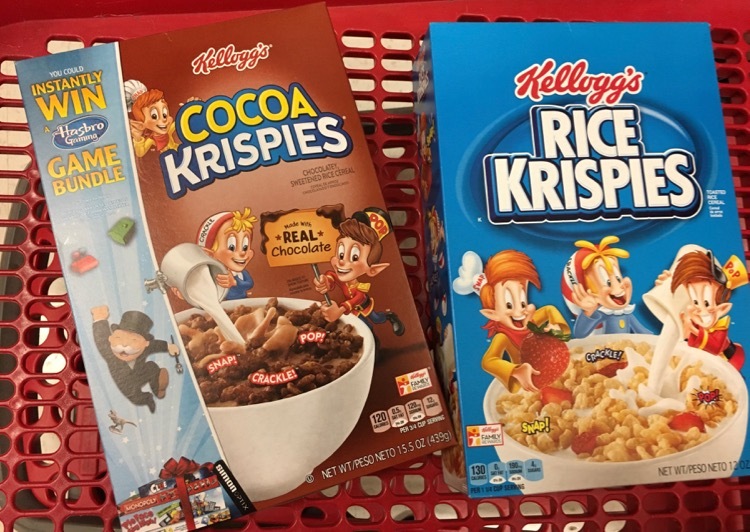 Even better, you can save 25% on Kellogg’s Rice Krispies and Cocoa Krispies with the Target Cartwheel offer. Here is what you will need to make these treats. In a bowl, add butter and marshmallow and microwave at 1 minute intervals until melted and smooth. Pour over Rice Krispies and stir until well combined. Press down into 9×13 baking pan that you have sprayed with non-stick cooking spray. Let sit and room temperature for 30 minutes. Gently remove treats from pan and cut them into 1.5 x 1 inch cubes and add sticks. I love using the straws because they make straws in so many festive colors now. Melt candy melts in microwave in 30 second intervals until nice and smooth. 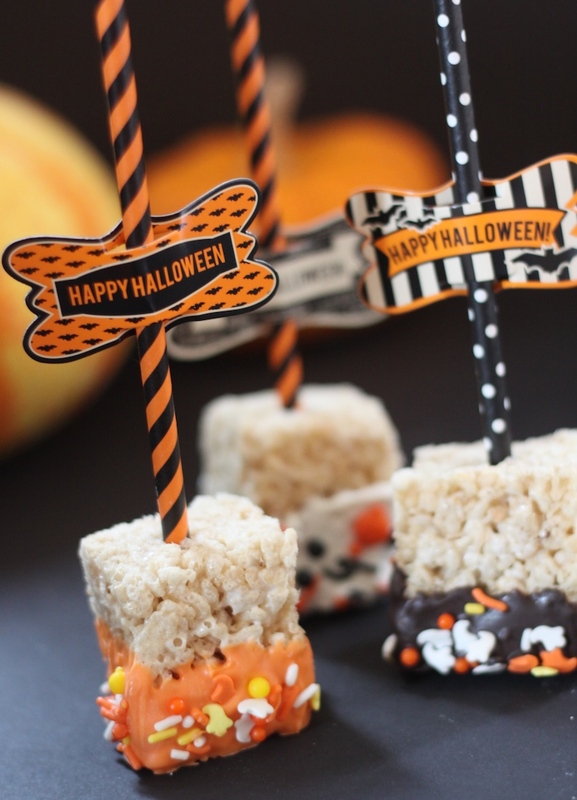 Dip Rice Krispie pops into melted candy and add sprinkles. Place on parchment paper to set. Enjoy! 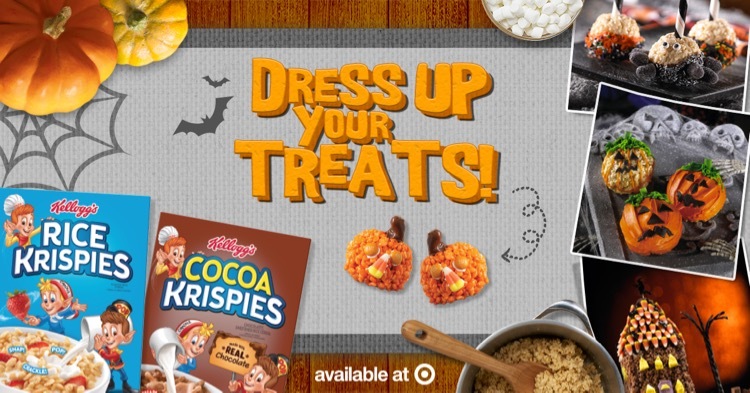 Make sure you load the 25% off Kellogg’s Rice Krispies and Cocoa Krispies Cartwheel offer today. 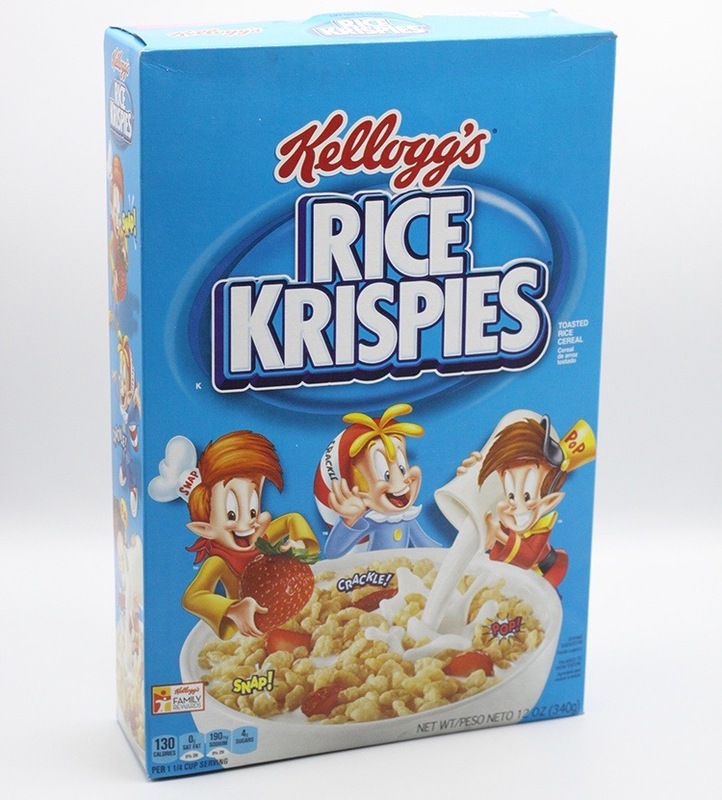 You will find Cartwheel offers for other Kellogg’s cereals too, like Frosted Mini Wheats, Raisin Bran, Special K and more. 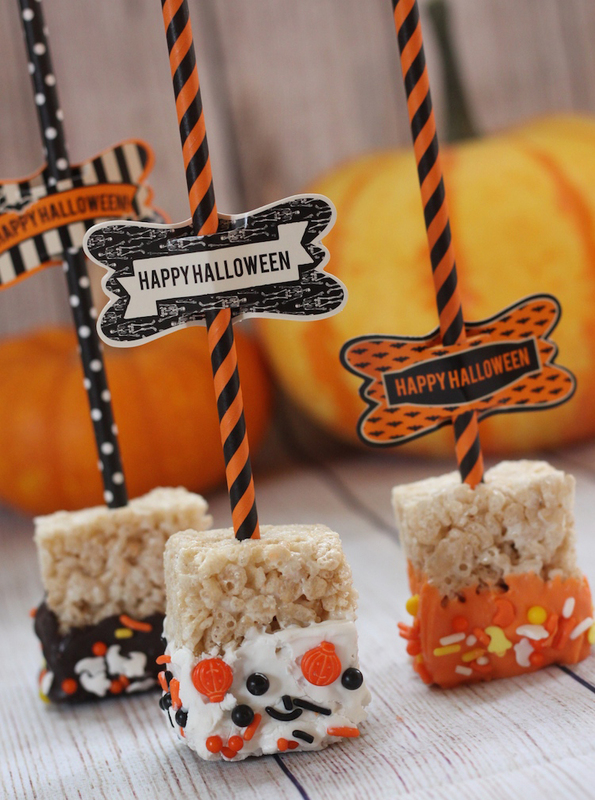 We’d love to hear how you plan to Dress Up your Treats for Halloween!